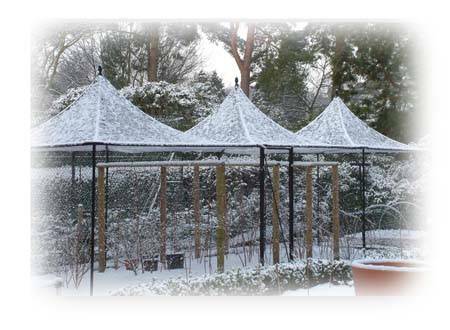 HarrodHorticultural: Fruit Cages in the Snow! 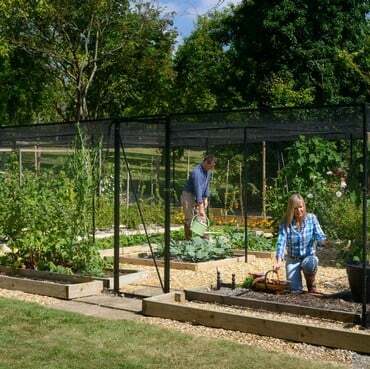 If you live in an area where there is already snow and you've got a flat roof fruit cage in your garden, this might be a 'horse/bolted' alert - but you need to remove the roof netting off your fruit cage in the winter. 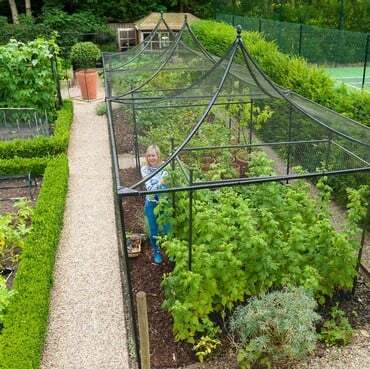 Removing the roof netting for the winter achieves one major aim in protecting the frame of the fruit cage from excess weight and stress - a fruit cage roof full of wet snow won't do even a heavy duty steel frame any favours, although if you're lucky enough to look out on one of our Peaked Roof Cages (pictured) or a Domed version, you'll be ok - but there's another advantage to making your cage an open house during winter. Birds will enjoy the opportunity to tread on otherwise prohibited territory and scrabble around for any grubs attempting to overwinter on fruit bushes and just under the soil. This reciprocal gardening agreement benefits the gardener in that pest populations are reduced come spring and you're also providing essential winter food for the beleagured birds; and they're happy because their feathery little tummies are full-ish! 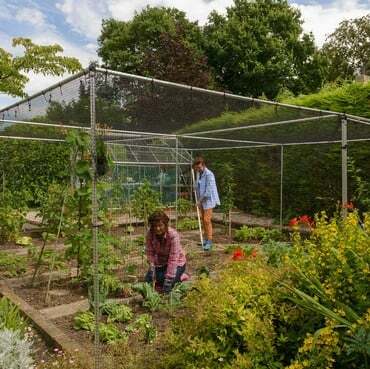 To help our feathered friends on their winter bug hunt, it's an idea to rollback a few metres of side netting on the cage as well. If you're up a ladder taking off the roof in the freezing cold, it's not much more of an effort to undo a few net ties - you'll be glad you did come spring! 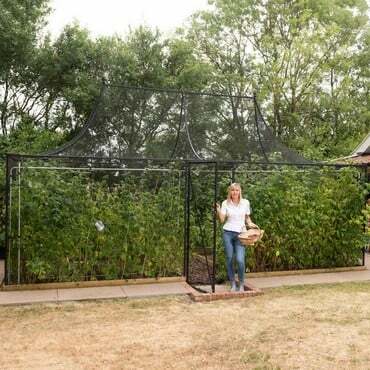 Hopefully our cage alert hasn't come too late and if you're in a part of the country which is wondering what all the weather fuss is about, its still advisable to get that roof netting off if it's not snowing where you are right now, it could be soon!